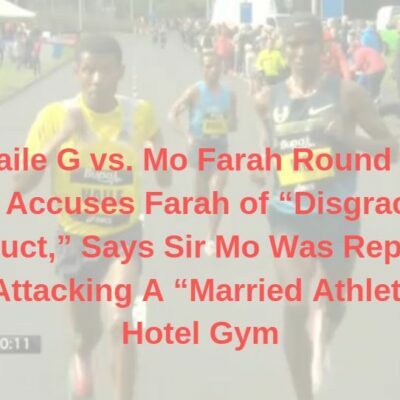 – IAAF president Sebastian Coe explaining some of the current problems with the sport and what he thinks needs to change. 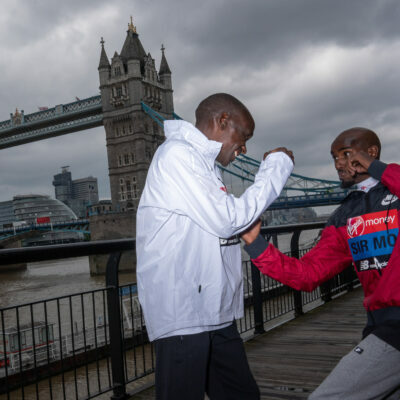 On doping, he says, “I will do everything in my power so that a kid … can devote more than half their young lives to this sport in the certain knowledge that the guys they are lining up alongside are not cheating. … The crowds have to know that what they are watching is genuine.” In wake of yesterday’s troubling headlines, we hope he knows there is a long way to go. HELP! How long does it take to get back to top shape after 2 years off? What do you do on your non-running day? Ritz reveals he has yet to hit 100 mpw a single time in all 2015 while Desi says she's super-motivated to be an Olympian as she doesn't think she "really lived up to the label the last time around." 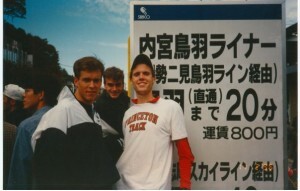 *MB: 100 Days To The Olympic Trials - We catch up with Desi, Ritz and Jared Ward. 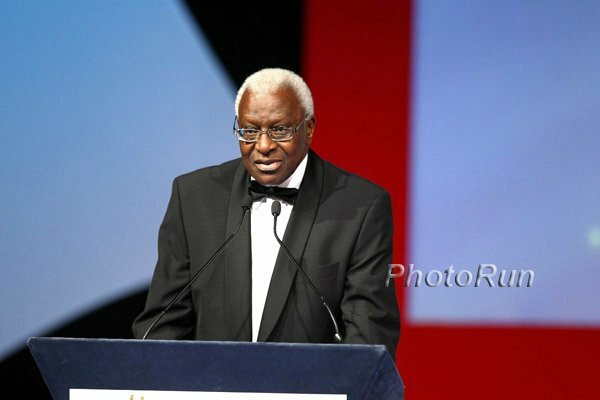 Some More Details: Diack Is Suspected Of Pocketing $1.2 From The Russian Athletics Federation He was arrested and is out on $550,000 bail, but was ordered to turn in his passport so he couldn’t leave France. UK Independent Opinion Piece: Lord Coe Must Act Over Lamine Diack Cover-Up Claims, Or He’s Just Another Sepp Blatter Writer complains that so far Coe has been all talk when it comes to anti-doping. 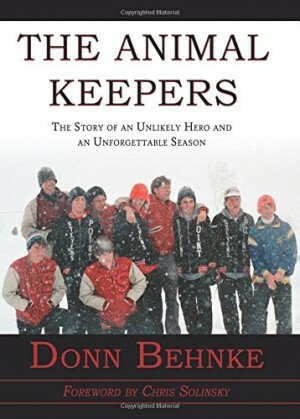 Interesting Read: Former NCAA All-American David McNeill Gives Some Great Advice For Why You Shouldn’t “Skimp On The Hills” McNeill explains how he used to be “a slave to the mileage and pace” on his GPS watch to have an impressive log, but now he purposely does hilly runs. UK Coach Matt Long Also Voices His Support For Hills He shares multiple different versions of hill workouts you can incorporate into your training. American College Of Sports Medicine: Caffeine And Endurance Time Trial Performance – Effects And Mechanisms Of Action? The gist is caffeine improves performance even if we’re not 100% sure why. 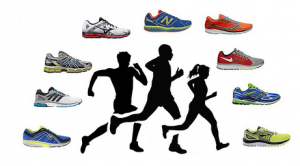 What You’ve Been Waiting For: The Latest “New” Study Saying If You Run Too Fast Or Too Far, You’ll Die Study found those running more than 35 miles a week had more risk for heart attacks and strokes. Prosecutors Seek Murder Conviction For Oscar Pistorius They made their case in front of five Supreme Court judges who will give their ruling at a later date (possibly weeks from now). Murder Suspected And Ex-Boyfriend Arrested After Belarus’ Former Olympic Sprinter Yulia Balykina Disappears Balykina competed at the 2012 Olympics, but was banned for doping in 2013. She’s been missing since last Wednesday. BAA Loses Bid To Block A Massachusetts Clothing Company’s Use Of “Marathon Monday” The BAA felt it created a false suggestion of affiliation with the Boston Marathon, but the courts disagreed. LRCNCAA XC Weekend Recap: Grant Fisher Is Running, Ben Saarel Is Not (For Now), And What's Wrong With The Wisconsin Men? 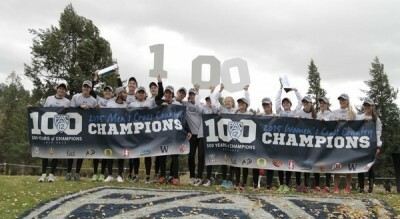 We also take a look at the Penn State women's upset at Big 10s, Thomas Curtin taking down Justyn Knight at ACCs and wonder whether the Foot Locker women's curse may come to an end this month? Conference Upsets Shake Up The Latest Women’s Rankings New Mexico stays #1, but after that, the top 15 teams moved all over the place with Colorado 2nd and Arkansas 3rd. Mo Farah To Compete At The Great Edinburgh XC Race On January 9th If he runs, it’ll be the first time he’s run XC since 2011. He was supposed to race last year, but pulled out with illness. Q&A With Betsy Saina On Joining The Bowerman Track Club After track season she decided to make the switch from the American Distance Project in Colorado Springs. Five Takeaways From The Fall Marathon Season For The Olympic Marathon Trials New contenders, interesting debuts and what have the favorites been up to? Former NCAA Standouts Natalja Piliusina (Oklahoma State) And Jess Tonn (Stanford) Join Brooks Beasts Track Club Piliusina was the 2013 NCAA 1,500m champ while Tonn was 3rd in the 5,000 at NCAAs last year. 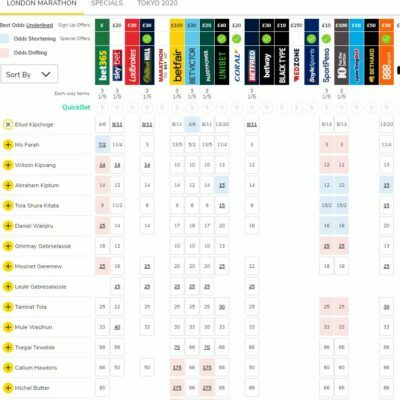 Change – Is There Hope For The Sport? 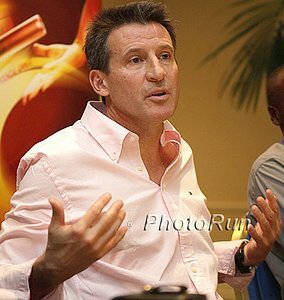 Good Read: Seb Coe Talks About What He Wants To Do To Improve The Sport Coe says that “presentationally we are a mess.” He complains that progress has been too slow in track and field and wants to make big changes. USATF And Athletes Advisory Committee Sign Memorandum Of Understanding For Revenue Distribution Model This formalizes the plan announced in September which will deliver an additional $9 million in cash to athletes over the next five years. Words Of Wisdom From Australian World Long Jump Silver Medalist Fabrice Lapierre He says to “never stop believing” as after seasons of injuries he finally had success. 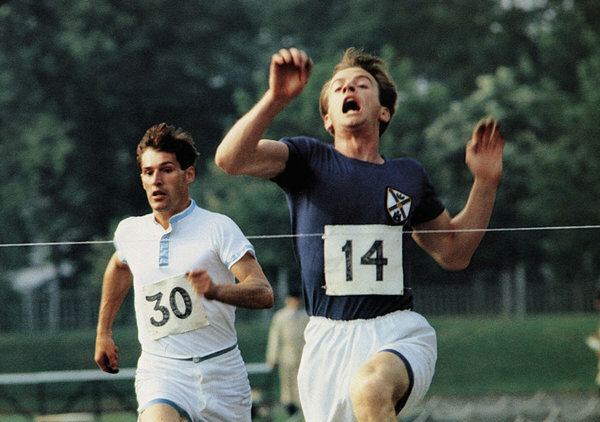 Recommended Tribute: Colin Welland, Oscar-Winning Writer Of “Chariots Of Fire,” Dies At 81 The writer of the classic movie about an Olympic sprinter who wouldn’t race on Sunday has died from complications with Alzheimer’s disease. 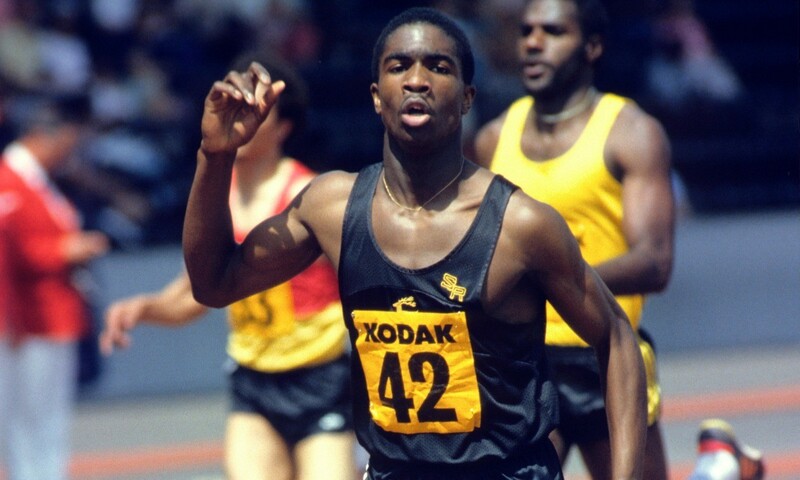 RIP Swaziland Athletics President And Former 800 Olympian Themba Makhanya He died after collapsing at work. He was only 45 years old. Good Read: After DNF And A Double Scotch, NYC’s Oldest Entrant Offers Life Advice 95-year-old Jonathan Mendes dropped out after 16 miles, failing to become the oldest NYC finisher (record is at 93). He says if he’s “still here,” he’ll try again next year. 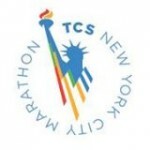 Interesting Notes And Stats On The 2015 TCS New York City Marathon Take a guess on who beat out Alana Hadley and Meb Keflezighi as the top tracked runner? Missing Runner Found After NYC Marathon A recovering heroin addict from Italy was found aboard a subway train still wearing his racing clothes. NY Times Article On The NYC “Almost” Crew; The Runners Who Finished After The 7:30PM Cutoff Read what the experience is like for the runners literally at the back of the pack. *MB: Inspirational New York Times article about unofficial NYC finishers Fair warning: Some LRCers may feel the use of the word “inspirational” is trolling. 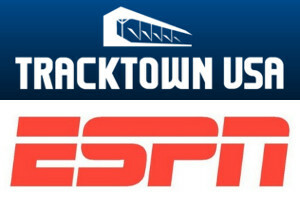 Great news for the sport that ESPN has committed to showing a new meet next year even without knowing the details of the Summer Series. MB: Former Columbia runner and American citizen Lisa Nemec (runs for Croatia) positive on doping control The former pretty good Ivy Leaguer has improved a ton post-collegiately from 16:31/34:19 to 2:25 in the marathon. Was it too good to be true? 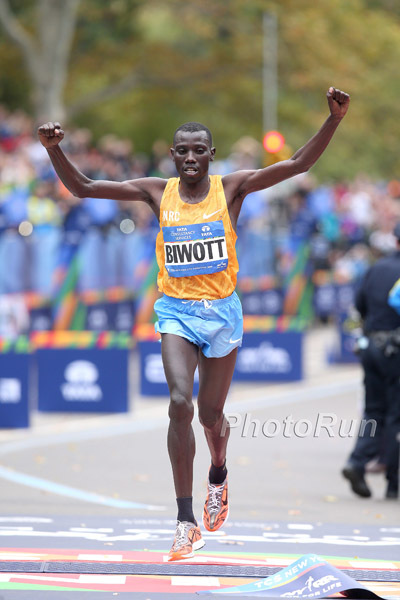 Full Recap LRC Stanley Biwott Blasts 28:35 Final 10K To Capture 2015 TCS NYC Marathon Title (Updated) He had to be sensational over the final 10k to beat back a strong, strong challenge from Mo Farah’s #1 rival Geoffrey Kamworor. 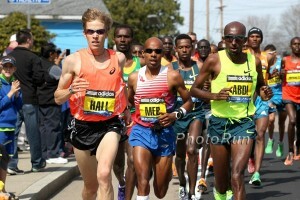 Meb finished 7th and Craig Leon 8th for the Americans. Full Recap LRC Mary Keitany Repeats As 2015 TCS NYC Marathon Champion As Laura Thweatt Runs 2:28:23 Debut Mary Keitany was back on top in NYC and is now tied atop the $500,000 Abbott WMM standings with one race to go. Sally Kipyego and Alana Hadley dropped out. LRC A Look At Laura Thweatt’s 2:28:23 Debut And Decision To Skip The US Olympic Marathon Trials We break down Thweatt’s impressive debut and her decision so skip the Olympic Marathon Trials. 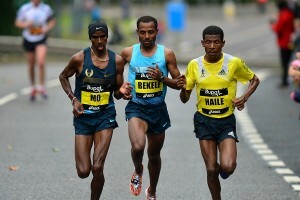 MB: After Meb’s performance at NYC today, do you think he is more likely to make the US Olympic team? Or less likely? MB: NYC Marathon American Men?? MB: Why does Alana Hadley drop out? 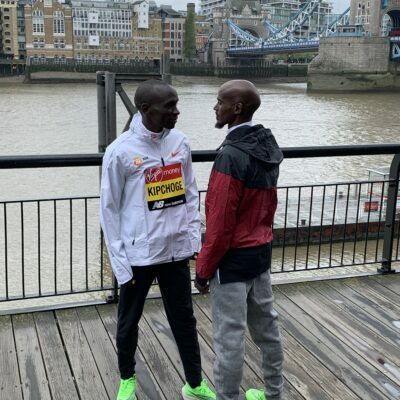 MB: Great day for Kenya, Kipsang is most probably done. 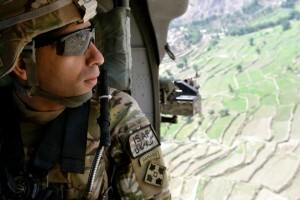 We thank him for the great ride!